Independence, Kansas, is the perfect picture of Americana. Where else can one find a small town that holds an annual theatre festival named in honor of one of its own natives, William Inge, or celebrates the early settlers in the Little House on the Prairie novels? Where can one find the site of the first-ever night game in organized baseball or the first team of one of baseball's most prolific hitters, Mickey Mantle? What other town in America can claim achievers like safari traveler Martin Johnson, oil magnate Harry Sinclair, presidential candidate Alf Landon, and even an astronaut chimp named Miss Abel? Lastly, where else can one find a town that holds a weeklong festival with the whimsical name Neewollah ("Halloween" spelled backward)? Only in Independence can one find these unique people, places, and events. By dusting off the archives of the town's photographic collections, this book reveals the visual history of a totally American town. Andy Taylor, editor of the Montgomery County Chronicle, is a fifth-generation newspaper editor and Montgomery County native who cares about the history of local communities. 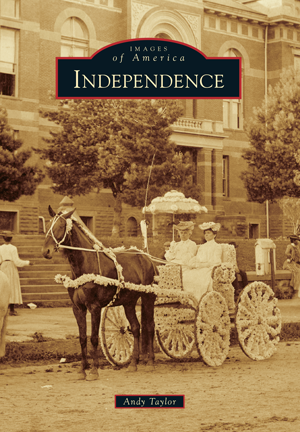 The Independence Historical Society and Art Center graciously opened its collections to be used in this book.